In April, 1949, author Clifton J. Noble, Sr. and his mother (whom he nicknamed "Hester") achieved their dream of owning a home in the country, away from the hustle and bustle and safe from eviction. Their dreamhouse was a long unused schoolhouse in Montgomery, MA with neither electricity nor running water. 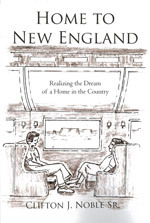 In this book, Jerry tells the story of how they transformed a former country school into a warm and cozy home, and how they discovered the innumerable joys and benefits of trading the conveniences of town for the beauty and freedom of the hills, woods, brooks, and wildlife of the Western Massachusetts Hilltowns. From the palm trees of Fresno, California to the pine trees of Machias, Maine, Home to New England follows the cross-country journey of author Clifton J. Noble, Sr. and his mother, Minnie Emerson Noble, as they continue their faith-driven quest for a home of their own. 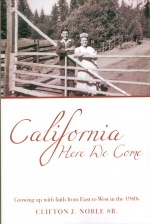 Join them as they board the train in California to return to family and friends introduced in Noble's books 31 High and California Here We Come. Meet new friends and benefactors the two encounter as they face and overcome new challenges in pursuit of their American dream. When Jerry and his mother, widow Minnie Emerson Noble, lose their home at 31 High Street in Westfield to mortgage foreclosure in 1939, they begin an unanticipated adventure that ultimately leads them to board a train bound for Fresno, California to begin a new life in a strange city. After staying a few months with Minnie's sister and her one-armed Welsh husband, life takes them to rented cottages. From there, they explore wartime California by bicycle and friends' automobiles, seeing the sights from Fresno to Los Angeles, Sacramento, San Francisco, and Yosemite National Park. As a doorman, draftsman, and student, Jerry encounters optometrists, preachers, projectionists, sailors, singers, soldiers, and usherettes. Reading this book, you will feel as if you have joined them on this amazing, faith-filled journey of a lifetime. Born in 1926 in Westfield, Massachusetts, author Clifton J. (Jerry) Noble, Sr. lived in a house at 31 High Street with his partents, Clifton and Minnie Noble. Jerry's many adventures in tis small New England town offer an appealing overview of the simplicity of life during the 1920s and 1930s. Trolley cars and trains, both steam and electric, roll eastward to Boston and to the Massachusetts coast at Marblehead, where Noble learns the hard way about seventh waves and small boats. Initially home schooled by a wise and loving mother, young Noble revels in puppets and the theater — despite his father's objections — and later prevails over problems with public school and a junio high school principal. His escapades range from the impromptu bath he receives when his next door neighbor, Eulalie, pushes him into a park pond, to an encounter with the wido of famous American composer Edward MacDowell in a New Bedford hotel to an unforgettable experience with zero gravity involving his uncle Sam's 1930 Buick and a mound-covered culvert. 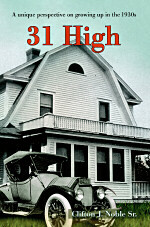 Delve into the vivid memories of the first 13 years of Noble's life in his delightful memoir, 31 High. 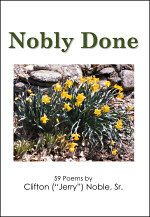 Since the mid-twentieth century, Clifton "Jerry" Noble, Sr. has been writing poetry and prose for publication. This collection of 59 works in verse includes some of his favorite original poems, as well as three original songs and several illustrations drawn by the author. 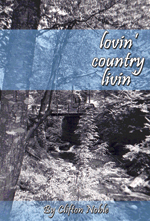 It includes poems on childhood, growing up, and experiencing life's serious and humorous twists and turns. The volume concludes with "Fifty-One Hike" a 182-line poem about sights and sidelights the author experienced while on a 28-mile hike from Montgomery to Middlefield, Massachusetts, a journey walked in eight hours. 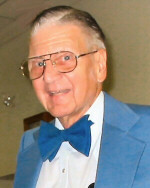 About the Author: Clifton J. Noble, Sr.